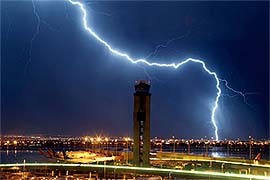 In a cost-cutting move that could save the FAA over one million dollars, officials are considering removing on-site weather forecasters from major airport traffic control towers and instead relying on National Weather Service forecasters tailoring products specifically for the airports. 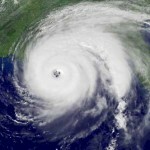 The move would eliminate at least 30 and as many as 80 forecasting positions currently occupied at the nations busiest airports.Â Instead, the forecasting duties would be consolidated at already-existing multi-purpose National Weather Service facilities in Kansas City, MO and College Park, MD. “It’s a public safety issue,” said Dan Sobien, president of the National Weather Service Employees Organization.Â It doesn’t mean a plane will crash tomorrow, but it could happen one day if sufficient weather information isn’t available, he said. FAA spokesman Paul Takamoto confirmed that the agency is looking for ways to cut costs, but he insisted that any changes will not affect the ability of air traffic controllers to get weather guidance. Weather will be available on radar, he said, and controllers will be able to consult forecasters, just not face-to-face. And Weather Service spokesman Chris Vaccaro said that any plan that is finally agreed to will ensure the safety of the aviation industry is maintained. The recommendation may make it’s first public appearance next week and be open to review as the new congress convenes in January.